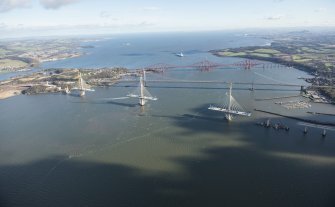 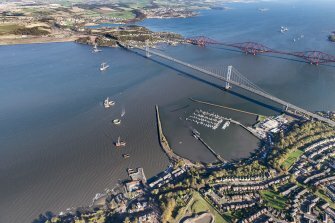 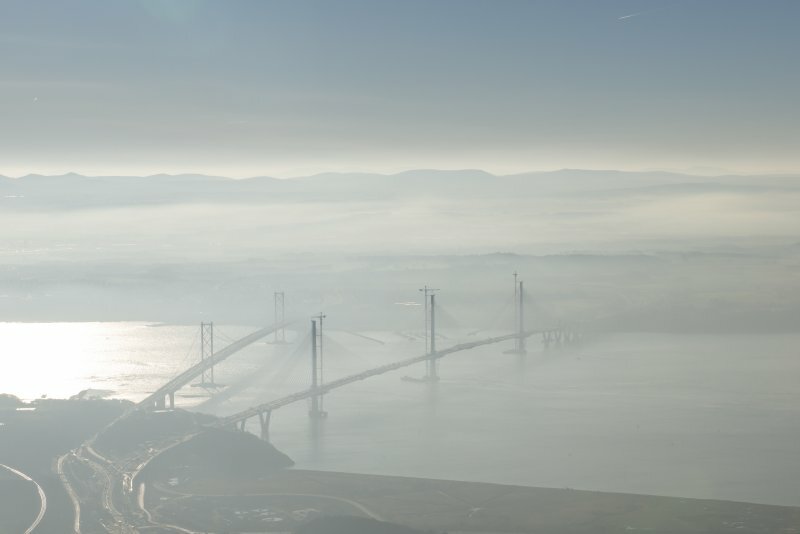 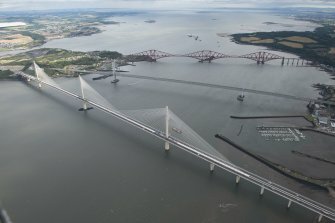 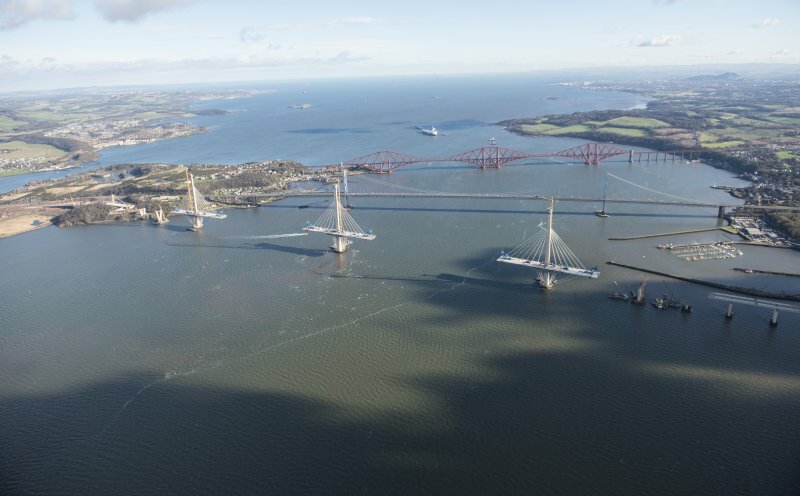 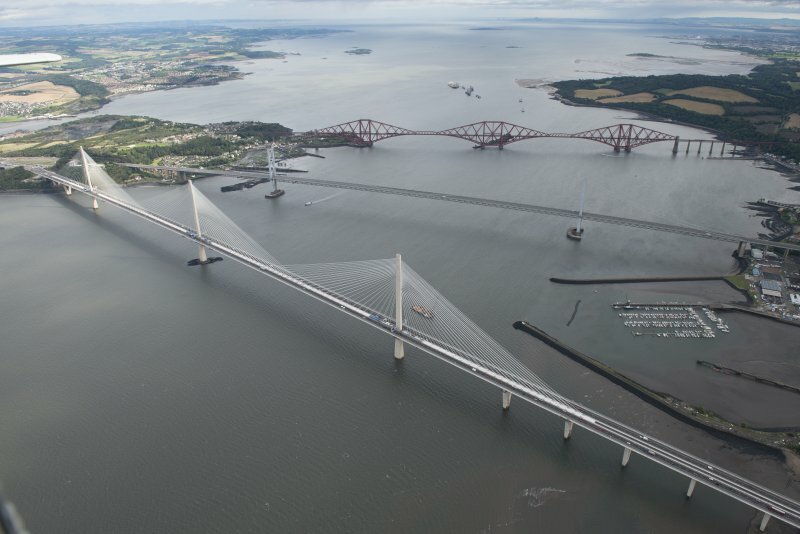 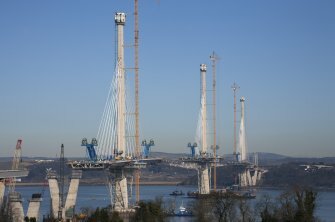 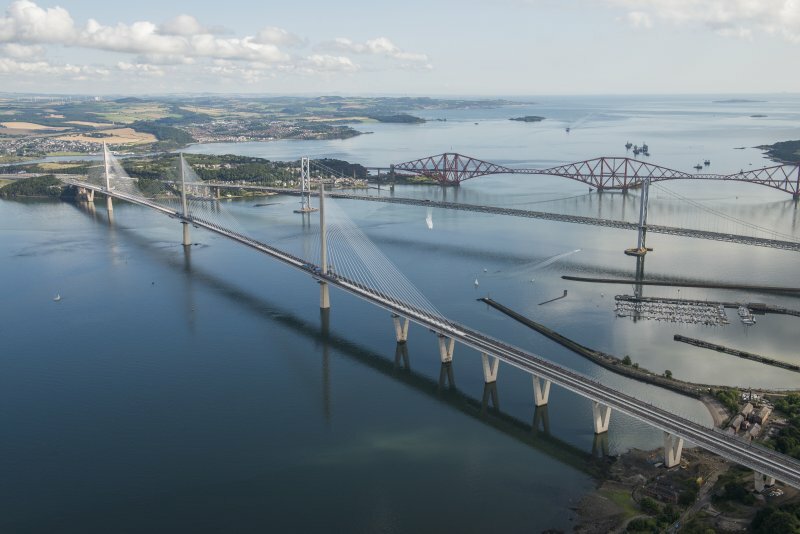 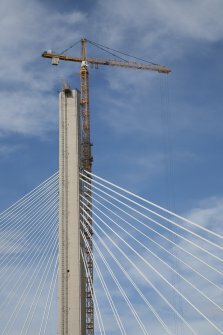 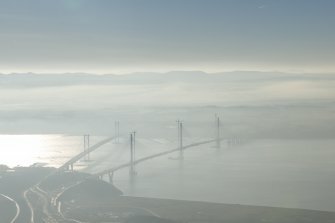 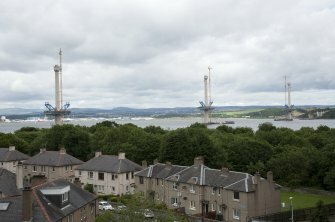 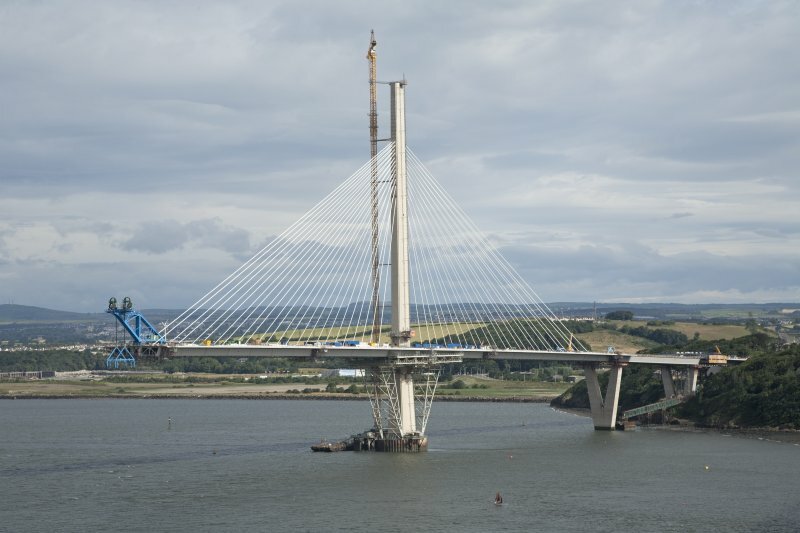 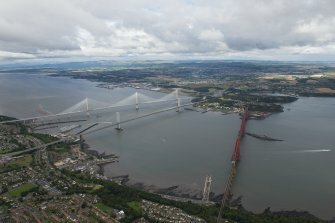 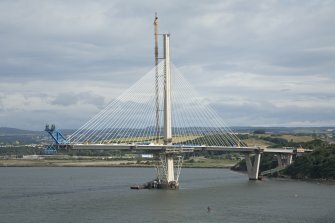 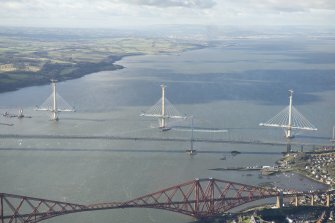 The bridge was officially opened to traffic across Firth of Forth on the 30th August 2017 by Queen Elizabeth II. Our HES aerial survey team has been recording it's progress since construction started in September 2011. 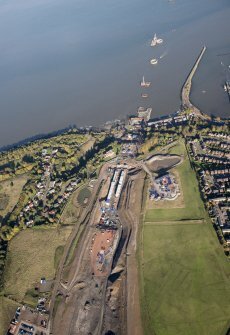 All our collections can be consulted in our Search Room and through our online resources. 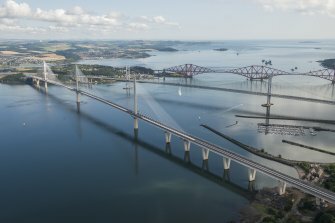 This includes Canmore where new images and information are added every day through ongoing surveys of Scotland's built heritage as well as through an active digitisation programme of negatives, prints and drawings. 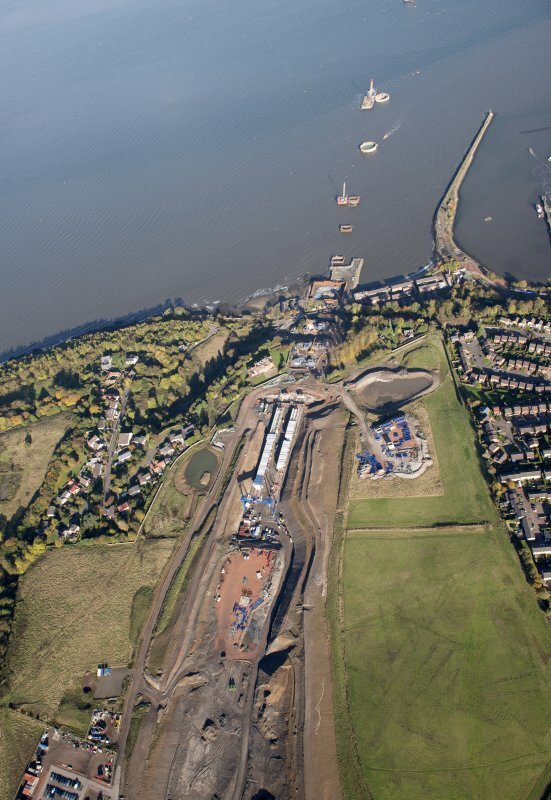 Oblique aerial view of the new Forth crossing works site centred on a caisson and barge, taken from the W.
Oblique aerial view of the new Queensferry Crossing construction site at South Queensferry, looking to the N.
Oblique aerial view of the new Queensferry Crossing construction site at South Queensferry, looking to the NNE. 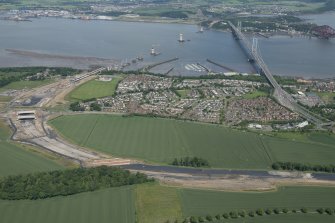 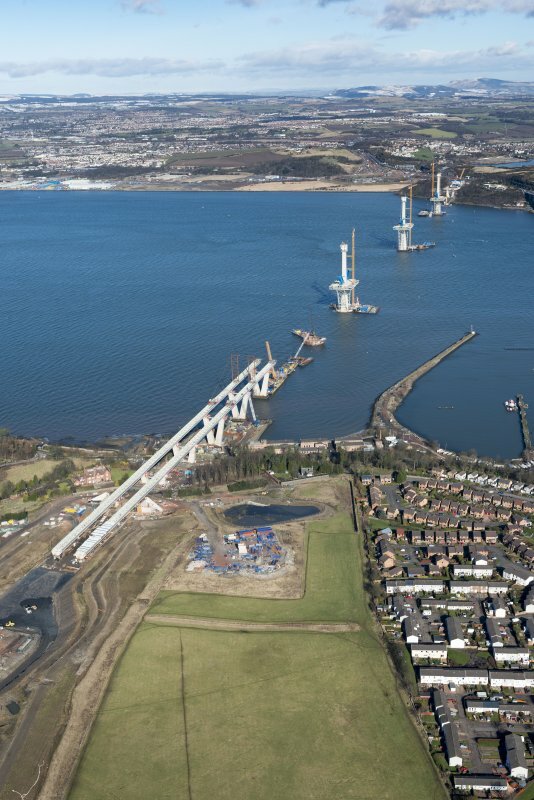 Oblique aerial view of the construction of the new Queensferry crossing, looking SSW. 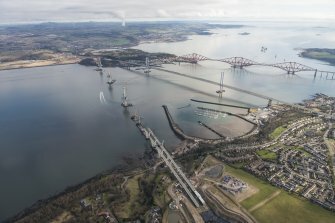 Oblique aerial view of the construction of the new Queensferry Crossing, the Forth Road Bridge and South Queensferry, looking NNW. 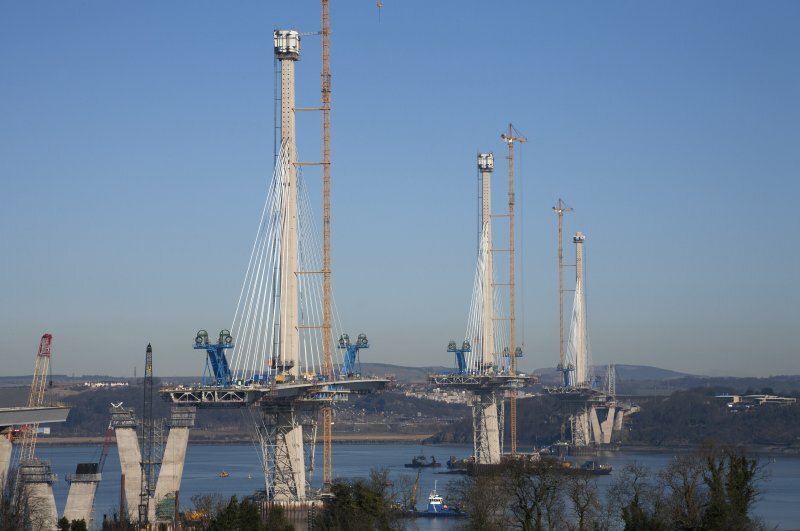 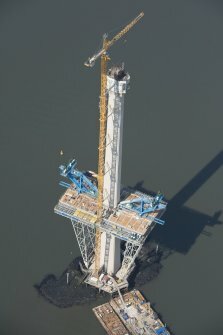 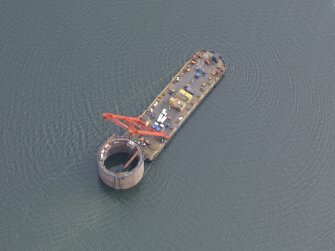 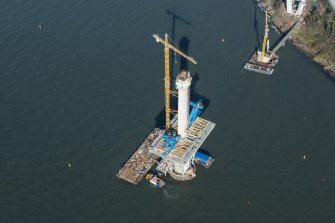 Oblique aerial view of the construction of the Queensferry Crossing centred on the middle pillar, looking WNW. 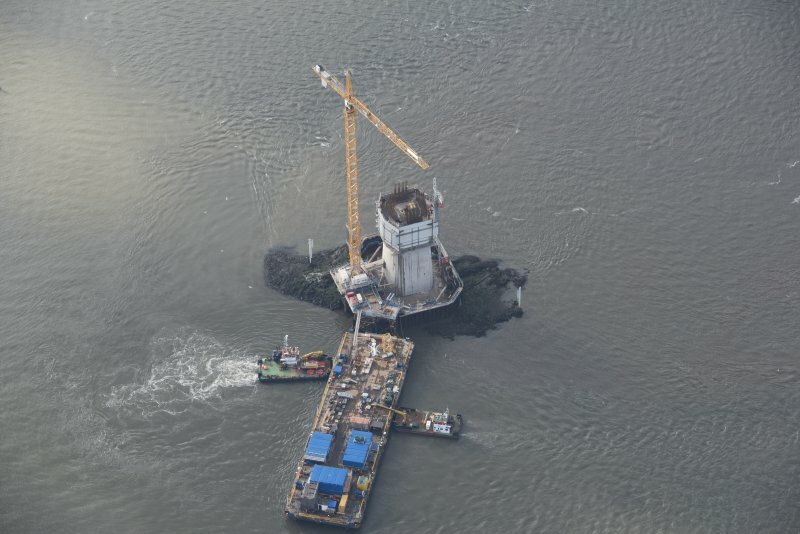 Oblique aerial view of the construction of a tower for the Queensferry Crossing, looking NW. 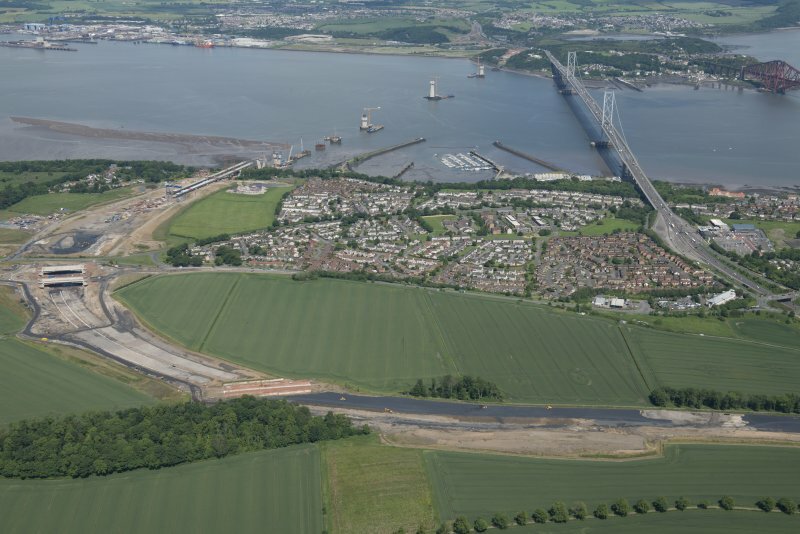 Oblique aerial view of the construction of the Queensferry Crossing with the Forth Road Bridge and the Forth Bridge beyond, looking NE. 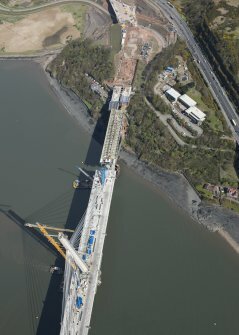 Oblique aerial view of the construction of the centre tower of the Queensferry Crossing, looking SW.
Oblique aerial view of the Forth Road Bridge and Queensferry Crossing, looking WSW. 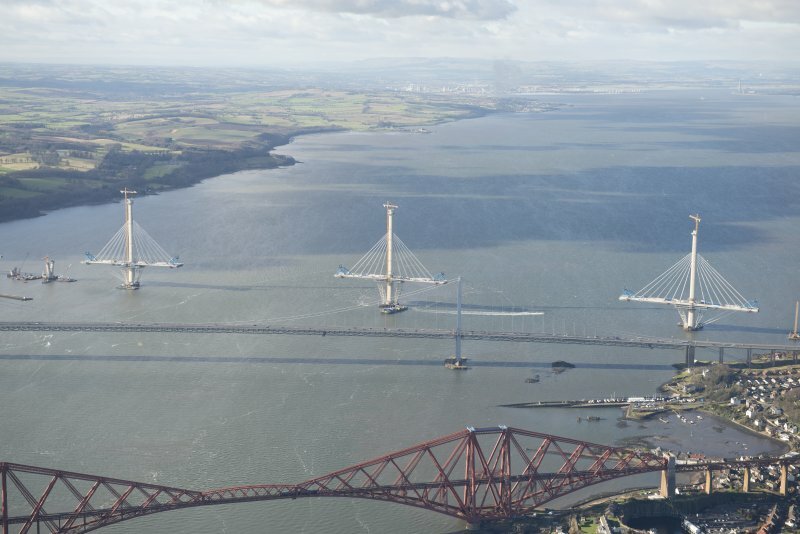 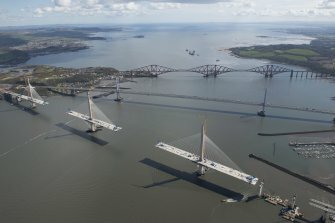 Oblique aerial view of the Forth Road Bridge, Forth Bridge and Queensferry Crossing, looking E.
Oblique aerial view of the north tower decking of the Queensferry Crossing, looking WSW. 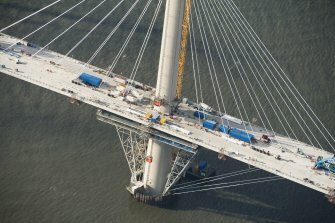 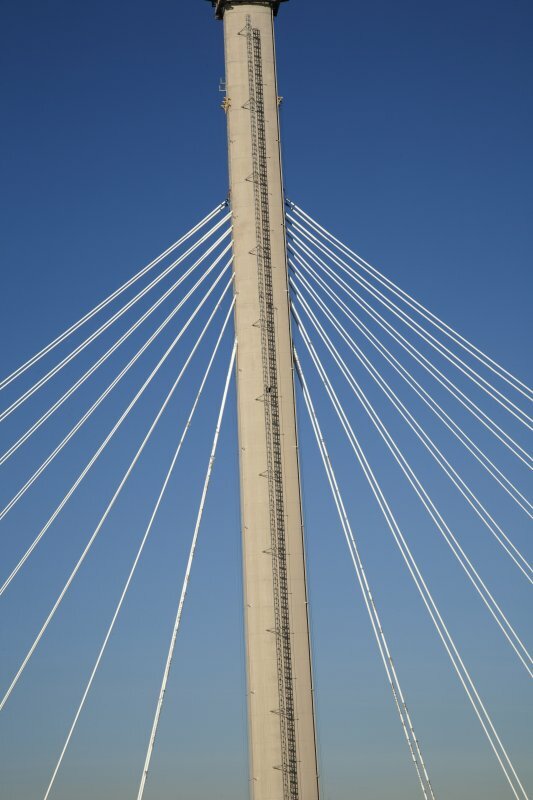 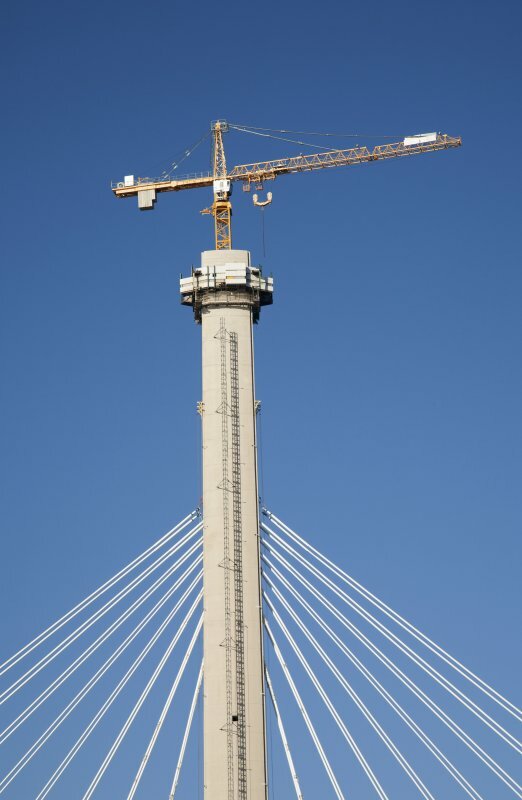 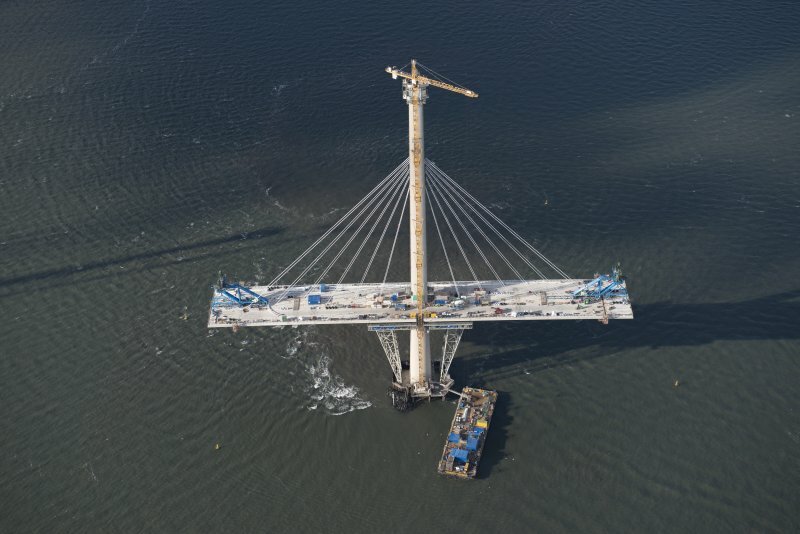 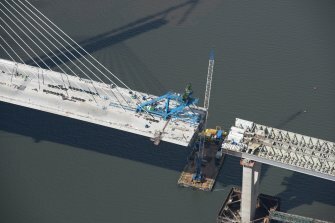 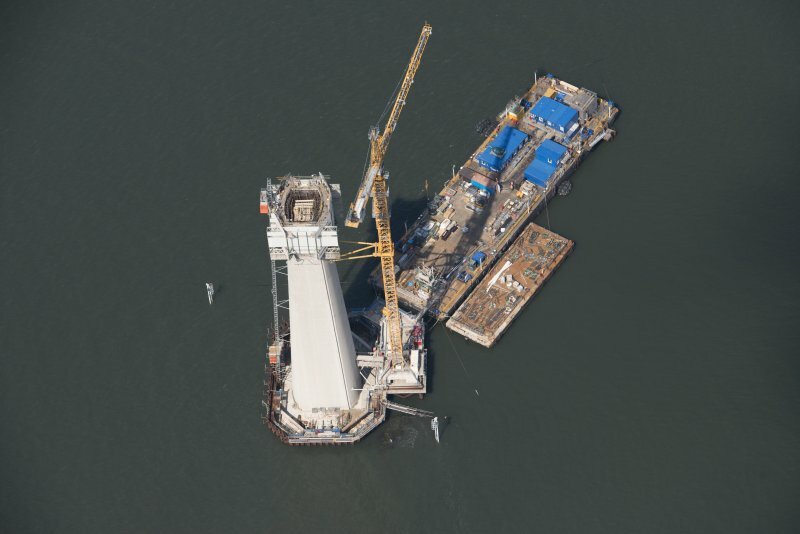 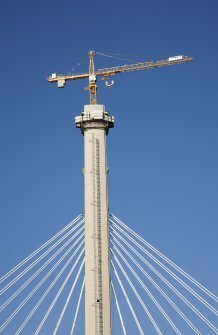 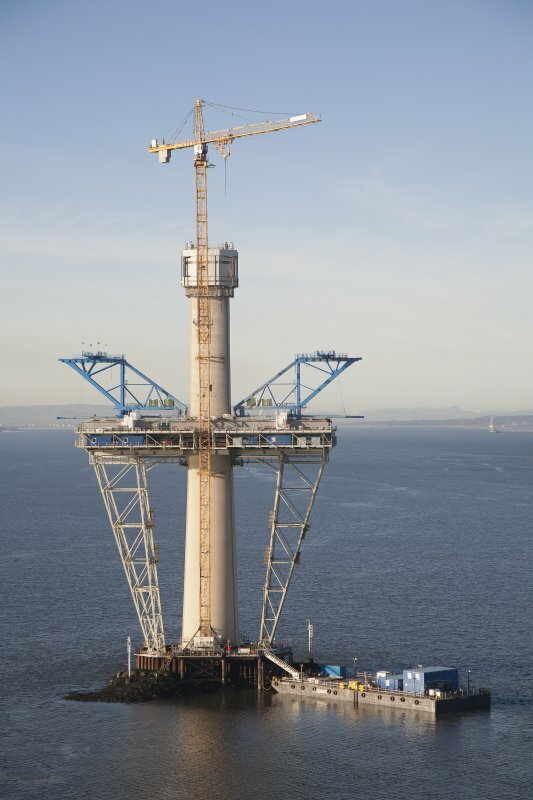 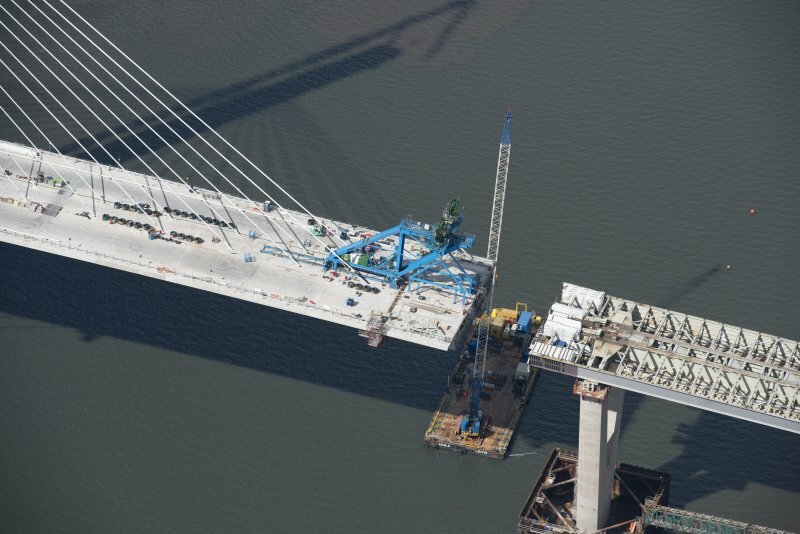 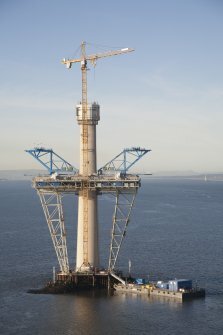 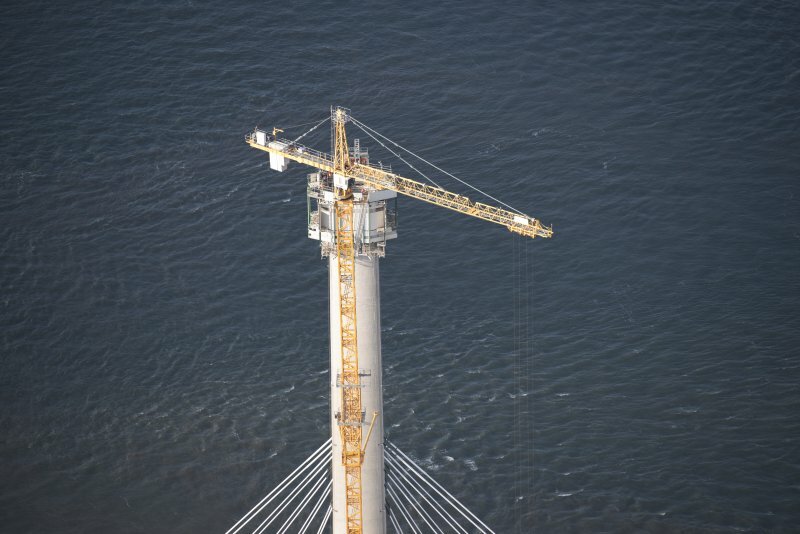 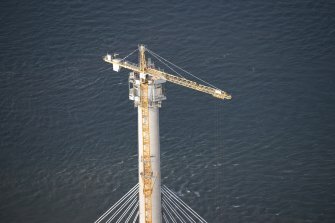 Oblique aerial view of the top of the central tower of the Queensferry Crossing, looking WNW. 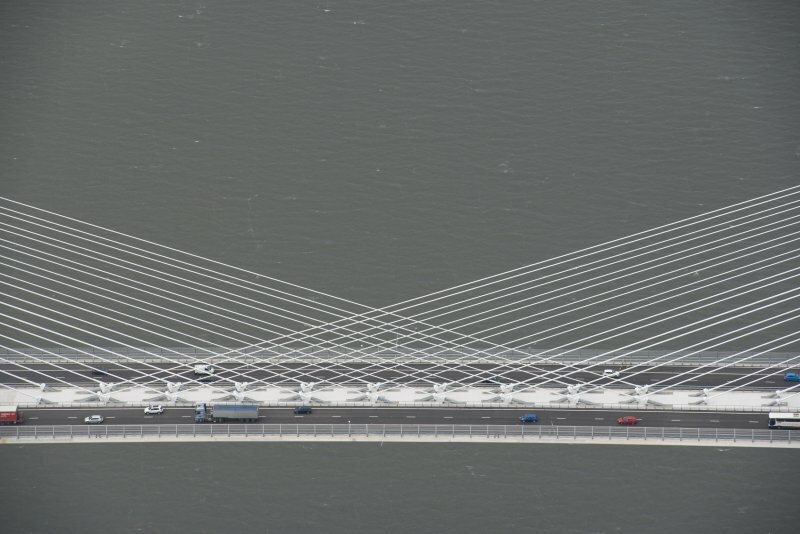 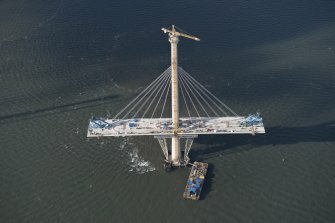 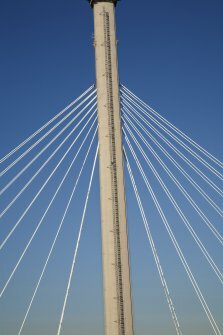 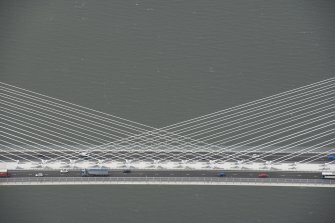 Oblique aerial view of the central tower of the Queensferry Crossing, looking WNW. Oblique aerial view of the construction of the Queensferry Crosssing at the north bank of the River Forth, looking N.
Oblique aerial view of the construction of the north span of the Queensferry Crossing, looking W.
Oblique aerial view of the Forth Bridge, the Forth Road Bridge and the construction of the Queensferry Crossing, looking E.
Oblique aerial view of the Queensferry Crossing on the day of the public pedestrian crossing. 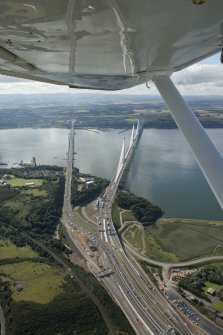 Oblique aerial view of the Queensferry Crossing on the day of the public pedestrian crossing, taken in 2016. 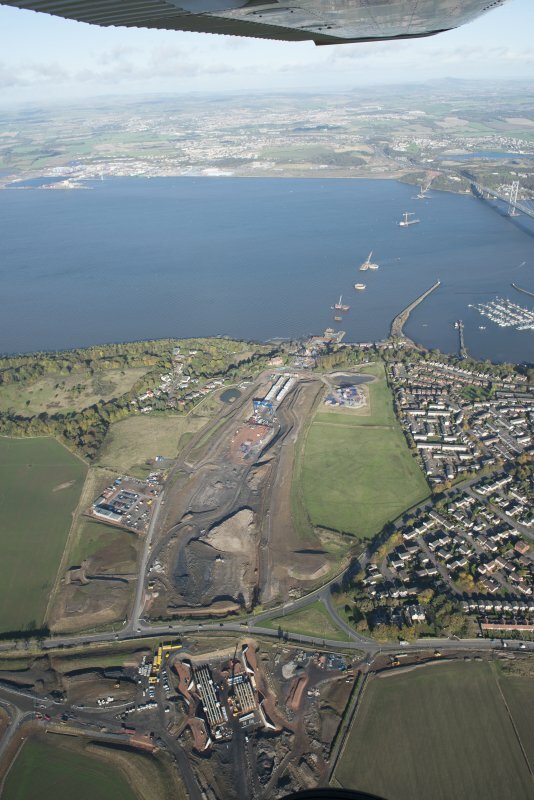 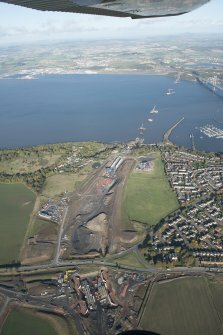 General oblique aerial view of the River Forth showing the construction site of the new Queensferry Crossing, the Forth Road and Rail bridges and Port Edgar looking to the NE. 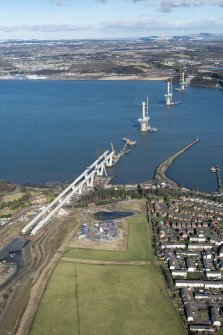 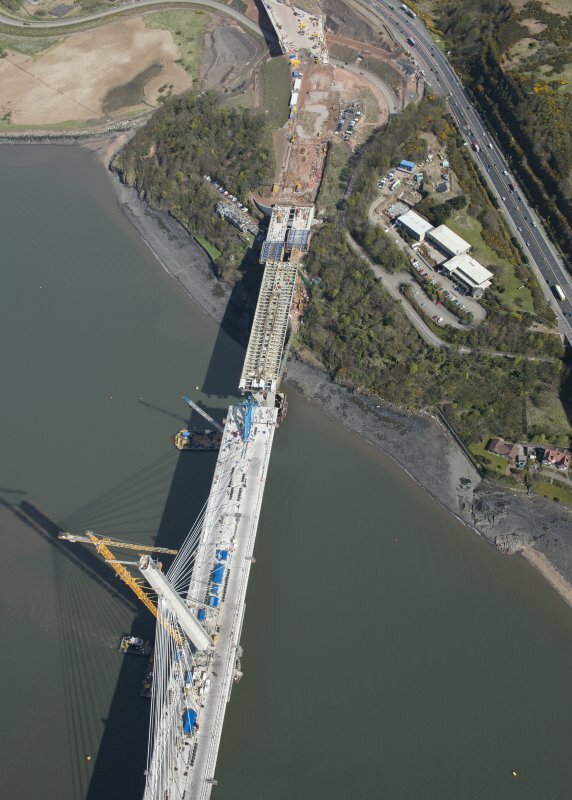 Oblique aerial view of the construction of the Queensferry Crossing, looking WNW.